Shoe shine boxes unite all the products necessary for shoe care in a single place. As such, they finally put an end to long searches for, say, your dust brush. Moreover, meticulously crafted shoe shine boxes—made from premium wood and boasting sophisticated designs— are also pieces of furniture that will last you a lifetime. 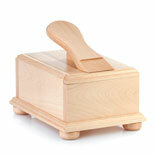 Dual-hinged shoe cleaning box with handle. 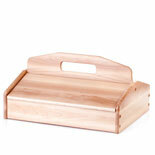 Made of beech, featuring a hinged cover and foot stand. Practical shoe care box with sliding cover & integrated stand. Made of beech, featuring a removable compartment & storage space. 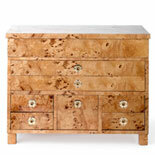 Pure luxury meets high functionality, handcrafted from burl wood. 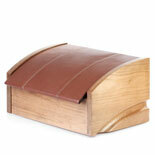 Encased in leather & made of walnut a proper storage. Made of walnut and featuring a fine leather cover. Sophisticated and practical—made of light beech & encased in fine leather. You should carefully consider using a shoe shine box. Carefully made and well-fitted models can last you a lifetime. Shoe shine boxes do not really do much, but they what they can very well. The models on offer here are more than well equipped for the task. Optimum shoe care requires the use of some care products. The basic equipment for shoe lovers consists of various brushes and polishes through to shoe protectors. Instead of thoughtlessly dumping your shoe care products in a cupboard, where they will quickly vanish among all of your other household items, store them in a shoe shine box. This way, you can quickly find everything you need for thorough shoe care in a single place. Moreover, provided you do not plump for a cheap plastic case, your shoe shine box can last you a lifetime. Many shoe shine boxes only have a lovely appearance to offer—poorly considered construction and a lack of partitions make their practical worth surprisingly low. This is not the case at all for shoe shine boxes made by Alvoro, which combine breathtaking design with high functionality. Meticulously handcrafted from premium wood, these shoe shine boxes are a tried and tested items of furniture that are not only extremely practical for shoe care but are also unabashedly great-looking. Fundamentally, all shoe shine boxes have to do is provide easy access to the shoe care products stored inside them, be manageable, and provide the opportunity to neatly separate the products to be stored. 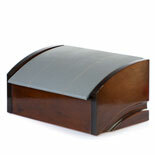 It is additionally beneficial when shoe shine boxes feature extras such as horizontal storage space and a dirt trapper. Features such as these actively support shoe care and also make it easier to position your foot inside the shoe before lacing it up. 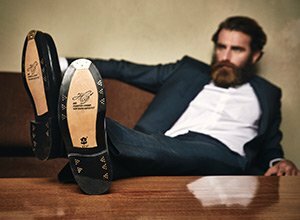 Our selection of premium shoe storage options leaves nothing to be desired, no matter what kind of shoe shine box you prefer. 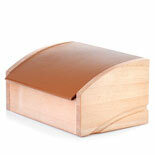 These shoe shine boxes are more than well equipped for the task of storing your shoe care products.